3. Display - 5.8" FHD+ IPS display, brightness, contrast, color temperature, sRGB coverage, etc. Nokia X6 a.k.a. 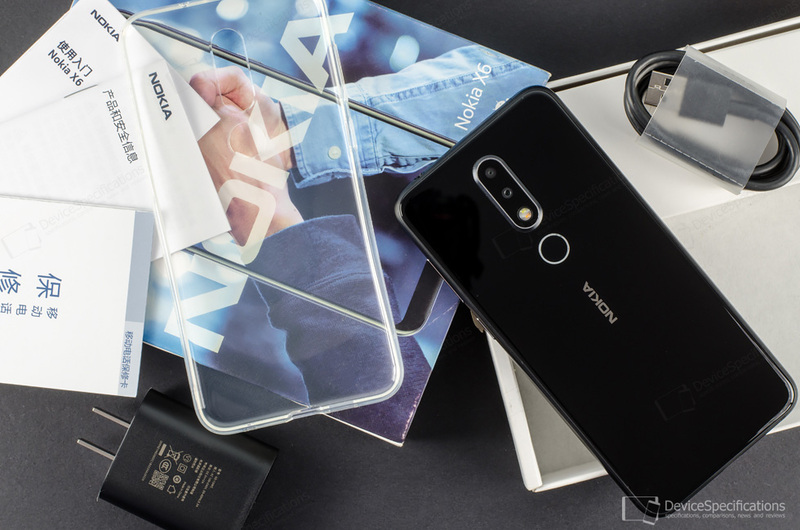 Nokia 6.1 Plus has all the qualities, at least on paper, to compete successfully with Xiaomi's mid-range and upper-mid-range devices that arrive at affordable prices. The handset arrives with the still fresh Snapdragon 636 chipset, the latest image sensors from Samsung that power all cameras of the model, and the latest Android version. It also has an impressive build and dual-glass design plus an attractive price tag - all this together with a 5.8-inch FHD+ display and a 3060 mAh battery can be yours for around USD 220. Let's check with the following in-depth review of the Nokia X6 whether claims and reality meet. The Android One version of Nokia X6 is called Nokia 6.1 Plus. Here's a brief comparison between the two models. You can buy a Nokia X6 at a promotional price from FastTech. 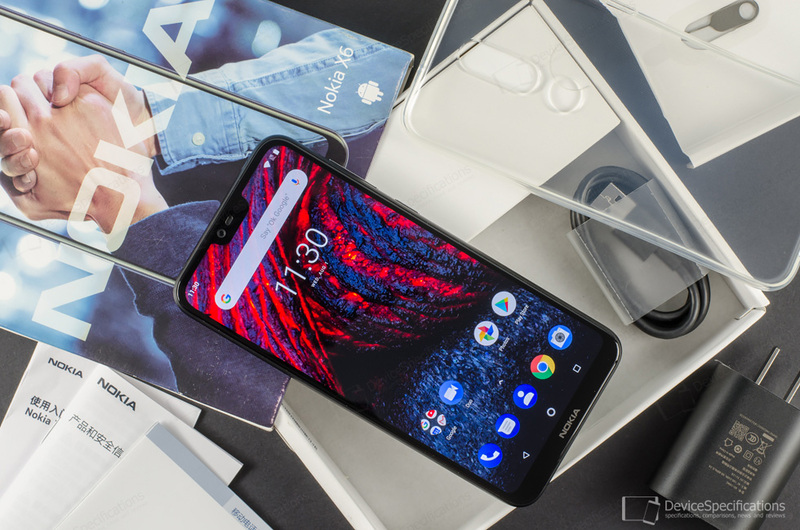 Nokia X6/Nokia 6.1 Plus is equipped with a 5.8-inch IPS display with a notch that has an FHD+ resolution (1080 x 2280), 432 ppi pixel density and a 19:9 aspect ratio. The front of the device is protected by a 2.5D curved Corning Gorilla Glass 3. The same glass protects the back and there's an aluminium alloy frame between them. Under the glass backplate, a Qualcomm Snapdragon 636 system-on-chip ticks. It houses an octa-core CPU with four Kryo 260 (semi-custom Cortex-A73 performance) cores clocked at 1.8GHz and four Kryo 260 (Cortex-A53 efficiency) cores clocked at 1.6GHz. The graphics are managed by an Adreno 509 GPU. The model arrives with 4GB or 6GB of double-channel LPDDR4X RAM, clocked at 1333MHz and 32GB or 64GB of eMMC 5.1 storage, expandable with up to 256GB. Power is supplied by a 3060 mAh battery that supports Quick Charge 3.0 and is combined with a 5V/2A fast charger. The back of the device is adorned by a dual-camera module with a dual-tone LED flash and a fingerprint sensor below it. The main rear shooter packs a 16MP Samsung S5K3P9SX sensor with an f/2.0 lens and PDAF. The second rear camera features a 5MP Samsung S5K5E9 monochrome image sensor and an f/2.2 lens. The front-camera uses the same sensor and lens as the main rear shooter. Nokia X6/Nokia 6.1 Plus supports LTE Cat. 4 with dual VoLTE, 2G GSM (850, 900, 1800, 1900 MHz), UMTS (850, 900, 1900, 2100 MHz), 4G FDD-LTE (850, 1700/2100, 1800, 1900, 2100, 2600 MHz) and 4G TDD-LTE (1900, 2300, 2500, 2600 MHz). The wireless connectivity options of the device include Bluetooth 5, dual-band Wi-Fi 802.11 a/b/g/n/ac with 1x1 802.11ac with MU-MIMO + WCN3980 companion chip, Wi-Fi Direct, and Wi-Fi Hotspot. The handset is equipped with a USB Type-C 2.0 port with OTG support and a 3.5 mm jack. It also works with GPS and GLONASS, and arrives with Android 8.1 Oreo out-of-the-box. Complete Nokia X6 / Nokia 6.1 Plus specifications.